The weather during the 49th Annual Moab Easter Jeep Safari couldn’t have been better and Team Four Corners 4×4 was there to take in the entire experience! Portions of the team arrived at Area BFE, the group’s base camp for the week, on Monday afternoon with plenty of time to set up camp, soak up the sunset, and have our first campfire of the week. We didn’t waste any time getting on the trail Tuesday, when we joined the Crawl Magazine Annual Reader’s Ride, sponsored by Yukon Gear & Axle. Hundreds of participants were divided into groups and hit all the trails at Area BFE. We tackled the Green Day trail, led by the owner of Rockware Motorsports, Matt Peterson. After a fun day of trail riding, everyone returned to the staging area for the raffle. Better luck next year on the raffle! After cleaning up a little, we headed over to the manufacturer’s party held annually at Grandpa’s Garage, where we had a chance to see some old friends and get an up-close view of the latest Jeep concept vehicles. We appreciate Dynatrac’s annual support of this event. Wednesday brought another day of four wheeling at Area BFE, where we joined Charlene Bower and BFGoodrich Tires for a trail run. 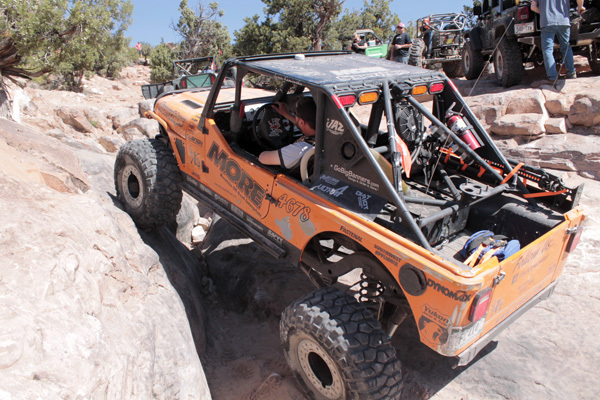 BFGoodrich reached out to first-time participants and we wheeled with many “Newbies”. Our trail was led by none other that Larry McRae with Poison Spyder Customs, assisted by Lance Clifford, formerly of Pirate4x4.com. We ran Minor Threat and Green Day backwards to mix things up. Thursday, we headed into town and hit up a number of our friends and marketing partnersat the vendor show. The attendance, by both exhibitors and attendees was impressive. 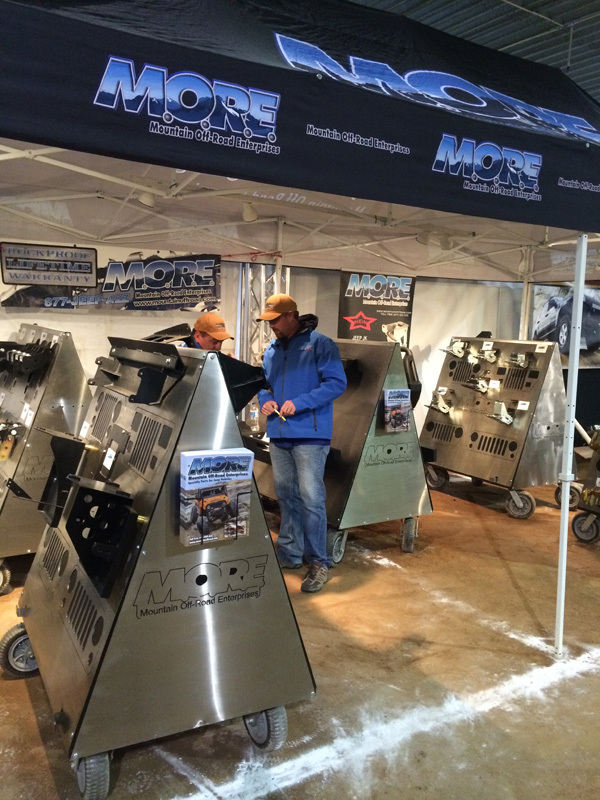 We understand they turned away over forty exhibitors due to a lack of space. We capped off Thursday night with an appreciation party held by Superchips. Wait until you see some of the new products coming out soon! 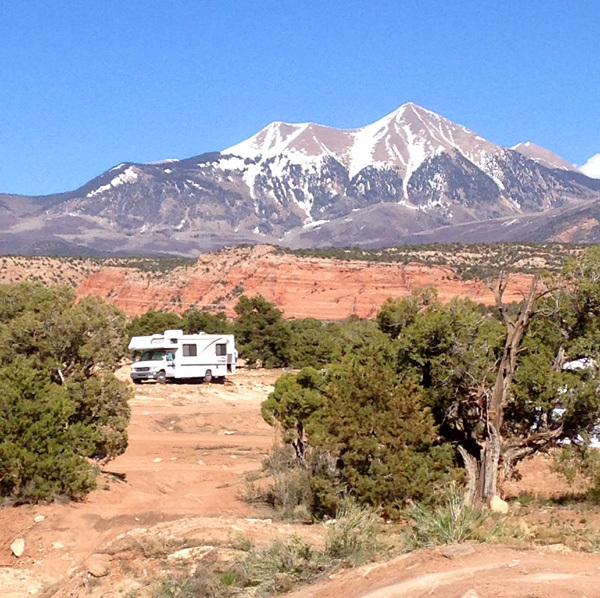 By Friday, it was time to get busy doing what we went to Moab for in the first place; racing! We started the morning off with a little vehicle preparation and checking fluids, etc. By afternoon, we had registered and started pre-running. While out on the second lap, we lost power steering in the car completely due to a broken steering gear. Unable to locate the appropriate parts so late on a Friday night, the team would be forced to spectate on Saturday. Saturday brought the much anticipated Dirt Riot Endurance race held at Area BFE. While it was disappointing to be on the sidelines, the whole team managed to have a great time watching the UTVs, trail classes, and 4600 class race. Unfortunately, during the first 4400 class heat, a spectator was tragically struck and killed, while on course, ending the day for all the fans and racers. Our thoughts go out to everyone involved in the incident including the victim and his family, the driver and co-driver, the promotors, land owners, spectators, and other members of the Dirt Riot family who are all impacted by this unfortunate event. 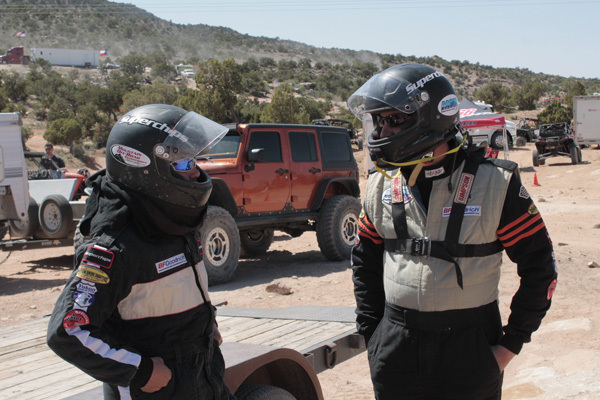 Team Four Corners 4×4 now will focus on preparing for their next event to be held in Rangely, Colorado on June 13th and 14th. Come out and join us for some rock crawling action!